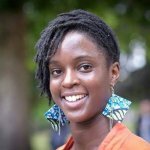 We have an industrialised food system which, with its relentless pressure to shave fractions of a penny off the price of its products, practically guarantees fraud, substitution and, even when those are absent, a constant driving down of the quality of the raw materials used in processed meals. With everything from hybridisation to genetic engineering affecting our foods, what exactly are we eating these days? It is the complexity of our food supply and the oversight of its safety that has raised this fundamental question. If you have an appetite for McDonald’s, take a look at five horrifying ingredients that have been found in their fast-food items. (TBHQ) tert-Butylhydroquinone, is a petroleum-based additive. It is found in 18 different items on the McDonald’s menu. The Food and Drug Administration (FDA) has classified this chemical as safe for human consumption. 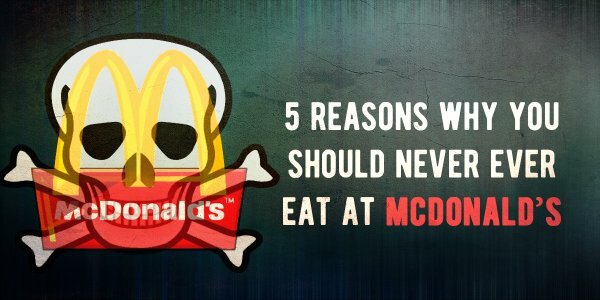 However, if you regularly eat McDonald’s, long-term use can cause stomach cancer, damaged DNA and sadly death. If you don’t like the sound of eating indigestible wood fibres, then stop eating McDonald’s right away. Cellulose is a natural product produced from wood pulp. This product is added to fast food items at a way to add volume. If you love McDonald’s chicken nuggets, then you are also a regular consumer of silicone oil (Dimethylpolysiloxane). This is a synthetic material which is used in lubricants, contact lenses and caulking. This material is used as it prevents oxidation of fats and oils and extends the shelf life of the processed nuggets. This is an inorganic salt that was one of the first and most widely used in Nitrogen fertilizers for crop production. It is commonly used in Monsanto’s Roundup herbicide and as a flame retardant. This nasty chemical is also an ingredient found in McDonald’s burger buns. It is used in the mass-production of bread and activates yeast. Ingesting this chemical can cause diarrhea, nausea, irritation of the gastrointestinal tract and hormone disruption. Silicon Dioxide is also known as silica or industrial sand. It is widely used to make optical fibers, cement and glass. It is important to note that workers wear hazmat suits and masks when handling this silicon dioxide. Once again, the FDA has approved this product to be used in the fast food industry. It has been added to meats and sauces to keep them from clumping together. Are you still lovin’ it?
? Research Suggests That Brain Cells That Control Aggression And Sexual Behaviour Are The Same In Male Mice – But Not In Females BREAKING: Saudi Arabia Lifts Ban On Women Drivers ?